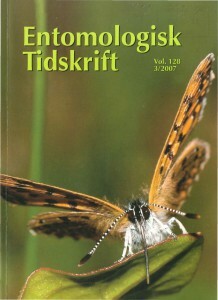 Entomologisk Tidskrift has been published since 1880 and is one of the oldest entomological journals of the world. Between 1880 and 1976 it was published by Stockholms Entomologiska Förening and since 1977 by Sveriges Entomologiska Förening. Annually three to four issues are published in a total of 190-220 pages and is covered by Zoological Record and Entomology Abstracts. 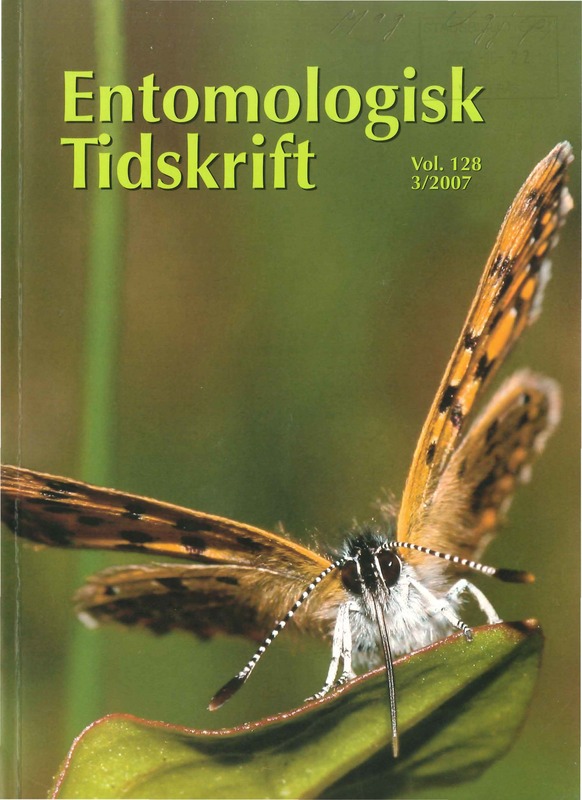 Entomologisk Tidskrift mainly publishes original works and reviews of Swedish or Nordic interest in all fields of entomology. The main language is Swedish with English abstracts and table-/figure legends. Also papers in English are published. All papers are reviewed by two referees. You can download many ET articles from our download page and we are continously working to make more available. Your subscription is started by payment as stated below. Dont forget to state your name and address. Back issues of ET kan be ordered from the subscription office. Postage fees is included in the price. From the other nordic countries 140 SEK/issue. From outside the nordic countries 180 SEK/issue. Dont forget to state your name and address.